It's as predictable as Rush Limbaugh sparking a controversy: every few years, someone in Congress brings up the Fairness Doctrine. In 1987 the FCC abolished the policy, which dictates that public broadcast license-holders have a duty to present important issues to the public and  here's the "fairness" part  to give multiple perspectives while doing so. Now, more than 20 years later, a group of Democratic legislators are calling for it to be brought back to life. "I absolutely think it's time to be bringing accountability to the airwaves," said Michigan Senator Debbie Stabenow. The Supreme Court proved willing to uphold the doctrine, eking out space for it alongside the First Amendment. In 1969's Red Lion Broadcasting Co. v. FCC, journalist Fred Cook sued a Pennsylvania Christian Crusade radio program after a radio host attacked him on air. In a unanimous decision, the Supreme Court upheld Cook's right to an on-air response under the Fairness Doctrine, arguing that nothing in the First Amendment gives a broadcast license holder the exclusive right to the airwaves they operate on. But when Florida tried to hold newspapers to a similar standard in 1974's Miami Herald Publishing Co. V. Tornillo, the Supreme Court was less receptive. Justices agreed that newspapers  which don't require licenses or airwaves to operate  face theoretically unlimited competition, making the protection of the Fairness Doctrine unneeded. The doctrine stayed in effect, and was enforced until FCC chairman Mark Fowler began rolling it back during Reagan's second term  despite complaints from some in the Administration that it was all that kept broadcast journalists from thoroughly lambasting Reagan's policies on air. In 1987, the FCC panel repealed the Fairness Doctrine altogether with a 4-0 vote. Congress has regularly tried to bring the doctrine back ever since. Reagan and George H.W. Bush both quashed Congressional initiatives by threatening vetoes, and a 2005 attempt to reinstate the doctrine didn't make it out of committee. Now, with Democrats in control of Congress and the White House and with conservative talk radio hosts  long a thorn in liberal sides  taking to the airwaves to blast President Obama's stimulus package, interest in the Fairness Doctrine is peaking once again. Conservatives have reacted vehemently. 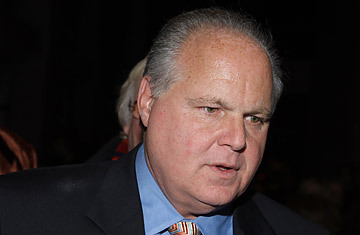 Limbaugh has promised he's "not going down without a fight" and calls the Fairness Doctrine just "the tip of the iceberg" of an attempt by the federal government to expand its power. Newt Gingrich called the Fairness Doctrine "Affirmative Action for liberals" and Hannity called it "an assault on the First Amendment." Both sides are likely overstating the doctrine's import. Even if it were to return, liberals would have a hard time co-opting the Fairness Doctrine to limit conservative talk radio to the degree they might like. The FCC has never applied the Fairness Doctrine to a talk radio host, nor does the regulation force stations to give equal time for every perspective. Further, the point might be moot without support from the Oval Office  which the doctrine does not currently enjoy. "As the President stated during the campaign, he does not believe the Fairness Doctrine should be reinstated," a White House spokesman said Feb. 18. Assuming the regulation doesn't get its renaissance this time, give it a few years. If history's any indication, the Fairness Doctrine will rear its head again. See how to know when the economy is turning up. Watch George W. Bush's best YouTube moments.